Periodontitis, also known as periodontosis, is an inflammatory disease of the tooth support system (periodontium). The periodontium ensures that the teeth are held in the jaw bone. Periodontitis can in the long term be problematic for the functioning of the dentition, as the bone around the tooth disintegrates causing the tooth to lose its hold in the jawbone. Periodontitis must not be underestimated, particularly as it is responsible for around 70 % of all tooth loss in adults. First signs of periodontitis manifest themselves in the form of bleeding gums. As the disease progresses, the periodontitis destroys the fibres which anchor the tooth in the bone. A “pocket” remains where these fibres should have been, and this becomes colonised by bacteria. It can also be that pus forms, which is often accompanied by bad breath and a bad taste in the mouth. If periodontitis remains unrecognised for too long, or is not treated, the tissue shrinkage can continue to such an extent that the tooth becomes loose and eventually falls out. Periodontitis begins with inflammation of the gums (gingivitis). This occurs as a result of accumulation of bacterial deposits (plaque). A simple solution for preventing gingivitis and thereby preventing the threat of periodontitis is to thoroughly remove the bacteria plaque. 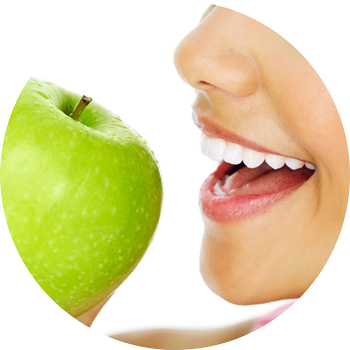 Therefore, you can personally contribute to optimal oral hygiene by cleaning your teeth well at least twice a day. You will receive professional support of your oral hygiene, thorough cleaning and precise guidance for optimal tooth cleaning during dental hygiene. The treatment is primarily to free the tooth surfaces and the resulting pockets by professional tooth cleaning, if the periodontitis is not too far advanced. The periodontitis treatment is performed either by the dental hygienist or the dentist, depending on the severity. In advanced cases of periodontitis the dentist must create a surgical access so that he can remove the inflamed tissue and the bacteria in the pockets. Furthermore, in particularly severe cases of periodontitis, the treatment is supported by antibacterial means (including antibiotics).